The idea of digital printing on textiles has been around for some time. Carpet inkjet printing machines have beenused since the early 1970s. Digital ink jet printing of continuous rolls of textile fabrics was shown at ITMA in 1995. Again at ITMA in 2003, several industrial inkjet printers were introduced to the marketplace which made digital printing on textiles the new industry standard. These new generation machines had much higher outputs, higher resolution printing heads, and more sophisticated textile material handling systems allowing a wide varieof fabrics to be printed. fabric has much greater absorbency, requiring many times the ink volume compared with printing on papers. Before any printing is carried out, the designs need to be developed in a digital format that can be read by the printers. Thus, all development has to be based on co-operation between the design software companies, the ink manufacturers and the printing machine developers. In the face of such odds, digital textile printing is happening. And how! Digital inkjet printing has become one of the most important textile production printing technologies and is, in fact, transforming the industry. It has been influencing new workflows, business plans and creative processes. The opportunities for high-value digital printer applications are so large that many hardware and chemistry vendors are investing heavily in textile and textile-related products and systems. Between 2000 and 2005 digitally printed textile output rose by 300% to 70m square metres. This is still less than 1% of the global market for printed textiles, but Gherzi Research, in a 2008 report, suggests the growth of digital printing on fabrics to be more than 20% per year. This growth is largely driven by the display/signage sector of the market; it is only recently that interior designers, seeking unique solutions for their clients, have been turning to digital printing. Digital processes have become so advanced that it is becoming very hard to tell digitally printed fabric apart from fabric printed the traditional way – although for my money, they’ll never replicate the artisanal hand crafted quality of hand screened or hand blocked prints, where the human touch is so delightfully evident. The lower energy, water and materials consumption means that more printers are switching to digital as it becomes competitive for shorter runs. Although there are many advantages already to digital printing, the few downsides, such as lower production speeds compared to rotary screen printing and high ink costs are both changing rapidly. As with traditional screen printing technologies, the variables in digital technologies are as varied as in screen printing, with additional complexity of computer aided technologies requiring changes from the design stage onward. 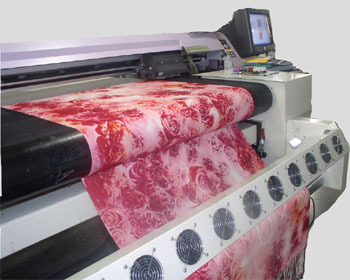 Digital textile printing output is a reflection of the design and color management software (such as Raster Image Processing or RIP) that provides the interface between the design software and the printer, the printer itself, the printing environment, the ink, the fabric, the pre-treatment, the post-treatment and last, but not least, the operator. This print method is being heavily touted as the “greenest” option. Let’s find out why they make these claims. In theory, inkjet technology is simple – a printhead ejects a pattern of tiny drops of ink onto a substrate without actually touching it. Dots using different colored inks are combined together to create photo-quality images. There are no screens, no cleanup of print paste, little or no wastage. In practice, however, it’s a different story. Successful implementation of the technology is very complex. The dots that are ejected are typically sub-micron size, which is much smaller than the diameter of a human hair (70 microns); one square meter of print contains over 20 billion droplets! They need to be positioned very precisely to achieve resolutions as fine as 1440 x 1440 dots per inch (dpi). Since the inks used must be very fluid so as to not clog the printheads, nanotechnology is a huge part of the ink development. In fact, according to Xennia, a world leader in digital printing inks, “microfluidic deposition systems are a key enabler for nanotechnology”. This precision requires multi-disciplinary skills – a combination of careful design, implementation and operation across physics, fluid mechanics, chemistry and engineering. There are two general designs of ink jet printers: continuous inkjet (CIJ) and drop-on-demand (DOD). As the names imply, these designs differ in the frequency of generation of droplets. In continuous ink jet printers, droplets are generated continually with an electric charge imparted to them. As shown schematically in Figure 1, the charged droplets are ejected from a nozzle. Depending upon the nature of the imposed electric field, the charged droplets are either directed to the media for printing, or they are diverted to a recirculation system. Thus, while the droplets are generated continuously, they are directed to the media only when/where a dot is desired. Historically, continuous ink jet printing has enjoyed an advantage over other inkjet technologies in its ability to use inks based on volatile solvents, allowing for rapid drying and aiding adhesion on many substrates. The disadvantages of the technology include relatively low print resolution, very high maintenance requirements and a perception that CIJ is a dirty and environmentally unfriendly technology due to the use of large volumes of volatile solvent-based fluids. Additionally, the requirement that the printed fluid be electrically chargeable limits the applicability of the technique. FIGURE 1.Continuous ink jet (schematic). Charged droplets leaving the nozzle are directed either toward a substrate or toward an ink recirculation system, depending upon the imposed electric field. The droplets can be generated by heating the ink to boil off a droplet, called thermal ink jet. Thermal inkjet technology (TIJ) is most used in consumer desktop printers but is also making some inroads into industrial inkjet applications. In this technology, drops are formed by rapidly heating a resistive element in a small chamber containing the ink. The temperature of the resistive element rises to 350-400ºC, causing a thin film of ink above the heater to vaporise into a rapidly expanding bubble, causing a pressure pulse that forces a drop of ink through the nozzle. Ejection of the drop leaves a void in the chamber, which is then filled by replacement fluid in preparation for creation of the next drop. The advantages of thermal inkjet technology include the potential for very small drop sizes and high nozzle density. High nozzle density leads to compact devices, lower printhead costs and the potential for high native print resolution. The disadvantages of the technology are primarily related to limitations of the fluids which can be used. Not only does the fluid have to contain a material that can be vaporised (usually meaning an aqueous or part-aqueous solution) but must withstand the effects of ultra high temperatures. With a poorly designed fluid, these high temperatures can cause a hard coating to form on the resistive element (kogation) which then reduces its efficiency and ultimately the life of the printhead. Also, the high temperature can damage the functionality of the fluid due to the high temperatures reached (as is the case with certain biological fluids and polymers). Alternatively, the droplets can be ejected mechanically through the application of an electric stimulation of a piezoelectric crystal (usually lead zirconium titanate) to elicit a deformation. This distortion is used to create a pressure pulse in the ink chamber, which causes a drop to be ejected from the nozzle. This method is shown in Figure 2. Piezo drop-on-demand inkjet technology is currently used for most existing and emerging industrial inkjet applications. In this technology, a piezoelectric crystal (usually lead zirconium titanate) undergoes distortion when an electric field is applied. This distortion is used to create a pressure pulse in the ink chamber, which causes a drop to be ejected from the nozzle. There are many variations of piezo inkjet architectures including tube, edge, face, moving wall and piston, which use different configurations of the piezo crystal and the nozzle. The advantages of piezo inkjet technology include the ability to jet a very wide variety of fluids in a highly controllable manner and the good reliability and long life of the printheads. The main disadvantage is the relatively high cost for the printheads, which limits the applicability of this technology in low cost applications. FIGURE 2.Piezoelectric drop on demand ink jet (schematic). In a DOD ink jet printer, upon application of a mechanical pulse, the ink chamber is deformed. This results in the ejection of a droplet toward the substrate. Acids/Alkalis – To support reactions of acid and reactive inks, respectively. Urea/Glycols – To increase moisture content of the fabric, giving high, even fixation of the inks. “Effects” Chemicals – Vary widely in purpose. Although there are too many effects to mention here, they can include chemicals to improve the brightness of the prints, water and stain repellants, UV absorbers to improve the fabric’s resistance to sunlight, fabric softeners/stiffeners, even antimicrobials to provide resistance to mildew and germs. Many patented and proprietary formulations for pre treatment exist, ranging from simple formulations of soda ash, alginate and urea to more sophisticated combinations of cationic agents, softeners, polymers and inorganic particulates such as fumed silica. Many of these have been aimed at fashion fabrics such as cotton, silk, nylon and wool. The processing of the fabric during pretreatment is also an important factor in producing a superior finished printed fabric. Fabrics must be crease-free and even in width. Some producers provide fabrics that are backed with removable paper to allow companies with graphic printers that have been retrofitted with textile inks to print fabrics. This paper, and the adhesive that holds it to the fabric, must be properly applied so that the paper can be removed easily from the fabric. Inks used in digital printing are thinner than those used for traditional printing, so the fabric also needs to be prepared by soaking it in a thickening agent. This agent reacts to moisture by swelling. As soon as a drop of dye touches the pre treated fabric, the thickener will swell up, keeping the dye in its place. Without this agent, the dye would run and bleed on the fabric. Inkjet inks must be formulated with precise viscosities, consistent surface tension, specific electrical conductivity and temperature response characteristics, and long shelf life without settling or mould-growth. The inks, made up of pigments or dyestuffs of high purity, must be milled to very fine particle size and distributed evenly in solution. In addition, further properties such as adequate wash-, light- and rub-fastness are necessary. Acid dyes, used for wool, silk and nylon. Disperse dyes are used for synthetics like polyester and nylon. Pigments (as well as disperse dyes) present a more difficult set of problems for ink makers. Both exist in water as a dispersion of small particles. These inks must be prepared with a high degree of expertise so that the particles will not settle or agglomerate (flocculate) and clog the printheads. The particle size must have an average of 0.5 micrometer and the particle size distribution must be very narrow with more than 99% of the particles smaller than 1 micrometer in order to avoid clogging of the nozzles. The major outstanding problem with the use of pigments in inkjet systems is how best to formulate and apply the resins which are required to bond the pigment particles to the fabric surface. Several different approaches, from coating pigment particles with advanced surfactants, to spraying resin through a separate jet head to screen printing binder over an inkjet printed color have been suggested. Solvent based – Solvent-based inks are relatively inexpensive and have the advantage of being able to produce good vivid colors. However, their main ingredients are volatile organic compounds (VOCs) which produce harmful emissions. These inks need to be employed in machines which have ducting to extract the solvents to atmosphere. It is possible to remove the VOC’s using activated carbon filters without ducting to outside the building however you still have to dispose of the solvent laden graphite. Fabrics produced using solvent-based inks have a strong odor. The higher the level of the solvent, the greater the keying, or bonding, with the material’s surface to give a durable finish. Types of solvent range from eco-solvent, low and mild solvent through to hard or full solvent. 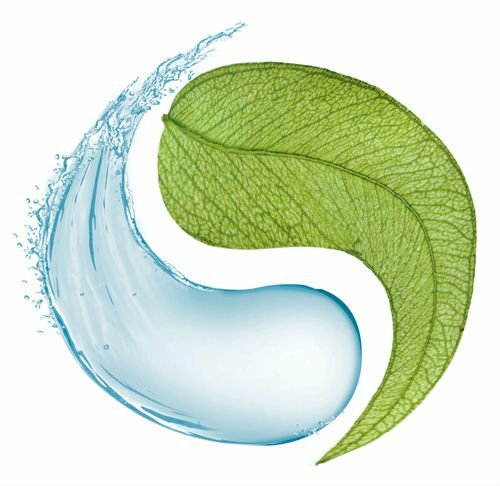 The term eco-solvent does not necessarily mean less environmentally damaging than conventional solvent, as discussed in the post entitled “Textile Printing and the Environment”. Oil based – requires the use of a printer which is compatible; otherwise similar to water and solvent based inks. Oil-based inks are less commonly used, but offer very reliable jetting since the ink does not evaporate. UV curable – generally made of synthetic resins which have colored pigments mixed in. Curing is a chemical reaction that includes polymerization and absorption by the fabric. UV inks consist of oligomers, pigments, various additives and photoinitiators (which transfer the liquid oligomers and monomers into solid polymers). Phase change – ink begins as a solid and is heated to convert it to a liquid state. While it is in a liquid state, the ink drops are propelled onto the substrate from the impulses of a piezoelectric crystal. Once the ink droplets reach the substrate, another phase change occurs as the ink is cooled and returns to a solid form instantly. Once you have digitally printed the fabric, you must perform some process to fix the ink. What process this is depends on the type of ink you used. Each dye type needs a specific finishing agent. Finally, the fabric needs to be washed to remove the excess dye and thickening agents. Fabrics are washed in a number of wash cycles at different temperatures to make the print washfast. So at the end of this process, you can see that there is no real difference in the amount – or kinds – of chemicals used, except perhaps those lost through wastage. So what exactly are the green claims based on? Minimal set up costs – short runs and samples are economical – so traditional mill minimums can be avoided. Costs per print are the same for 1 or 1000000. There is no down time for set up – the printer is always printing – so there is also increased productivity. Faster turnaround time – and very fast design changes. Turnaround time for samples can be reduced from 6 to 8 weeks to a few days. Print on demand, dramatically reducing time to market. Theoretically no limit on number of colors. Decreases industrial waste and print loss. The disadvantages most often cited, that of high cost of inks and shorter printing speeds, are quickly being overcome by the manufacturers. One concern I have is that of the use of nanotechnology, which seems to be an inextricable part of the equation. Already nanotechnology is enabling manufacturers to offer functional finishes in post processing, such as stain and water repellants, fire retardants, and UV blocking . It is also being used in smart clothing: To harness the energy of the sun, flexible thin film modules are sewn onto clothes. However, since they show clearly when sewn, digital textile printing makes these modules inconspicuous. The traditional industry still looks at digital textile printing parameters from the context of what it “can’t do,” compared to conventional printing (much of which is already history). For a much smaller group of designers, textile artists, fine artists, costumers, wide-format printers and the like, this technology is much more about what it “can do” to provide to provide products and services the market has never before seen. For these people, textile printing offers parameters not available with conventional printing: unlimited repeat size, tonal graphics, engineered designs that cross several seam lines, quicker samples, customization and short-run production. And the use of the technology is beginning to catch the imagination of more and more textile designers, as they realize that their old reaction to computer generated graphics (dismissive to say the least) is truly outdated. Claire Lui, Print magazine associate editor, points out that in ultra-custom milieus, design and printing become more like art than common manufacturing. The traditional textile industry needs to understand that, in the same way the Internet is not going to replace the television as a form of entertainment or information, this new digital technology isn’t about replacing existing processes , but rather about leveraging the expanded parameters to offer new niche products and services. And we must remember too that digital printing is not the panacea it’s touted to be for the environment, though it seems to have less of a pollution footprint than traditional screen or rotary printing. Humankind has used enzymes for thousands of years to carry out important chemical reactions for making products such as cheese, beer, and wine. Bread and yogurt also owe their flavor and texture to a range of enzyme producing organisms that were domesticated many years ago. In the textile industry, one of the first areas which enzyme research opened up was the field of desizing of textiles. A size is a substance that coats and strengthens the fibers to prevent damage during the weaving process. Size is usually applied to the warp yarn, since this is particularly prone to mechanical strain during weaving. The size must be removed before a fabric can be bleached and dyed, since it affects the uniformity of wet processing. Previously, in order to remove the size, textiles were treated with acid, alkali or oxidising agents, or soaked in water for several days so that naturally occurring microorganisms could break down the starch. However, both of these methods were difficult to control and sometimes damaged or discoloured the material. But by using enzymes, which are specific for starch, the size can be removed without damaging the fibers. It represented great progress, therefore, when crude enzyme extracts in the form of malt extract, or later, in the form of pancreas extract, were first used to carry out desizing. Bacterial amylase derived from Bacillus subtilis was used for desizing as early as 1917. Amylase is a hydrolytic enzyme which catalyses the breakdown of dietary starch to short chain sugars, dextrose and maltose. Enzymes have been used increasingly in the textile industry since the late 1980s. Many of the enzymes developed in the last 20 years are able to replace chemicals used by mills. The first major breakthrough was when enzymes were introduced for stonewashing jeans in 1987 – because more than one billion pairs of denim jeans require some sort of pre-wash treatment every year. Within a few years, the majority of denim finishing laundries had switched from pumice stones to enzymes. Scouring (the process of removing natural waxes, pectins, fats and other impurities from the surface of fibers), which gives a fabric a high and even wet ability so that it can be bleached and dyed successfully. Today, highly alkaline chemicals (such as caustic soda) are used for scouring. These chemicals not only remove the non-cellulosic impurities from the cotton, but also attack the cellulose leading to heavy strength loss and weight loss in the fabric. Furthermore, using these hazardous chemicals result in high COD (chemical oxygen demand) and BOD (biological oxygen demand) in the waste water. Recently a new enzymatic scouring process known as ‘Bio-Scouring’ is being used in textile wet-processing with which all non-cellulosic components from native cotton are completely or partially removed. After this Bio-Scouring process, the cotton has an intact cellulose structure, with lower weight loss and strength loss. The fabric gives better wetting and penetration properties, making the subsequent bleach process easy and giving much better dye uptake. 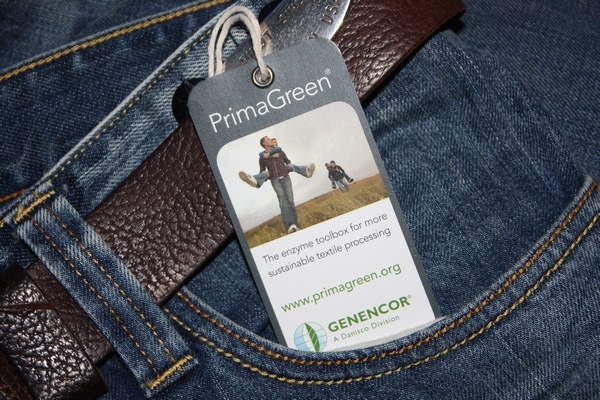 One of the newest products, PrimaGreen® EcoScour from Genencor, offers sustainability advantages for eco-scouring in cotton pretreatment, including 30 percent water savings and 60 percent energy savings compared to standard processing. In addition, the mild processing conditions result in improved fabric quality and enhanced color brightness after dyeing. Bleaching – When bleaching cotton, a lot of chemicals, energy and water are part of the process. The company Huntsman has developed a wetter/stabilizer that maximizes the wetting and detergency of the bleaching process and a one-bath caustic neutralizer and peroxide remover in order to shorten the bleaching cycle, reduce energy and water required and deliver more consistent bleaching results. They have developed surfactants that are environmentally friendly (in that they do not contain Alkylphenol ethoxylates), and the system is both Oeko-Tex and GOTS approved. After fabric or yarn bleaching, residues of hydrogen peroxide are left in the bath, and need to be completely removed prior to the dyeingprocess, using a step called bleach cleanup. The traditional method is to neutralize the bleach with a reducing agent, but the dose has to be controlled precisely. Incomplete peroxide removal results in poor dyeing with distinct change of color shade and intensity, as well as patchy, inconsistent dye distribution. Enzymes used for bleach clean-up ensure that residual hydrogen peroxide from the bleaching process is removed efficiently – a small dose of catalase breaks hydrogen peroxide into water and oxygen. This results in cleaner waste water and reduced water consumption. Denim finishing – In the traditional stonewashing process, the blue denim was faded by the abrasive action of pumice stones on the garment surface. Nowadays, denim finishers are using a special cellulase. Cellulase works by loosening the indigo dye on the denim in a process known as ‘Bio-Stonewashing’. A small dose of enzyme can replace several kilograms of pumice stones. The use of less pumice stones results in less damage to garment, machine and less pumice dust in the laundry environment; in addition, it’s possible to fade denim without risk of damaging the garment. are an alternative for toxic chemicals, making wastewater easier and cheaper to treat. So why is there a ruckus about enzymes being used in textile processing by GOTS and other organic certifying agencies? For tens of thousands of years, humans relied on nature to provide them with everything they needed to make their lives more comfortable -cotton and wool for clothes, wood for furniture, clay and ceramic for storage containers, even plants for medicines. But this all changed during the first half of the twentieth century, when organic chemistry developed methods to create many of these products from oil. Oil-derived synthetic polymers, colored with artificial dyes, soon replaced their precursors from the natural world. But today, with growing concerns about the dependence on imported oil and the awareness that the world’s oil supplies are not limitless, coupled with stricter environmental regulations, chemical and biotechnology industries are exploring nature’s richness in search of methods to replace petroleum-based synthetics. As with other forms of biotechnology, industrial biotech involves engineering biological molecules and microbes with desirable new properties. What is different is how they are then used: to replace chemical processes with biological ones. Whether this is to produce chemicals for other processes or to create products such as biopolymers with new properties, there is a huge effort to harness biology to accomplish what previously needed big, dirty chemical factories, but in cleaner and greener ways. The public has for a long time perceived biotechnology to mean dangerous meddling with the genes in food and fiber crops. But biotechnology is about much more than transgenic crops – it also uses microbes to make pharmaceuticals, for example. 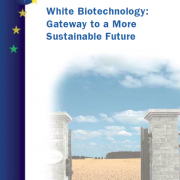 Industrial biotechnology is known as “white” biotechnology, as distinct from “red” biotechnology, which is devoted to medical and pharmaceutical purposes, and “green” biotechnology, or the application of biotechnology in agriculture. Today, the application of biotechnology to industrial processes holds many promises for sustainable development. One of the first goals on white biotechnology’s agenda has been the production of biodegradable plastics, and in textiles, DuPont has invested much in the production of textile fibers from corn sugar (Sorona ®) while Cargill Dow has introduced NatureWorks ™, a polymer made from lactic acid which is used in textiles under the brand name Ingeo ®. And these new processes have resulted in considerable environmental benefits: In the case of Sorona ®, for example, DuPont was able to replace the toxic elements of ethylene glycol and carbon monoxide in typical PET fibers with benign corn sugars. Strictly speaking a bioplastic is a polymer that has been produced from a plant instead of from petroleum. That is neither a new breakthrough nor a guarantee of ecological soundness. The earliest plastics such as celluloid were made from tree cellulose before petroleum proved itself a cheaper source. Today, with oil prices skyrocketing, it’s cheaper feedstock – not green principles – that is driving chemical companies back to bio-based plastics. Bioplastics may bring in the greenbacks for investors but are they actually green for the planet? The evidence is not convincing. For a start bioplastics may or may not be degradable or biodegradable – two terms that mean very different things. Many bio-based plastics – like DuPont’s Sorona – make no claims to break down in the environment. So much for disposal. But replacing fossil fuels with plants has to be a good idea, right? 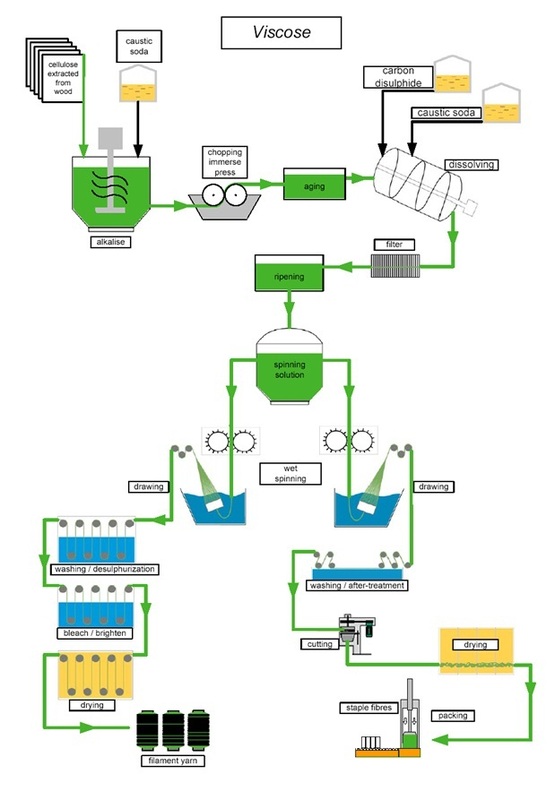 This is the premise on which the green claims of bioplastics mostly rest. Unfortunately, as advocates of biofuels have learned, switching from oil to biomass as the feedstock of our industrial economy carries its own set of problems. Like hunger. There is nothing sustainable or organic about most industrial agriculture feedstocks. At present genetically modified corn grown using pesticides is probably the leading source of starch for bioplastics. 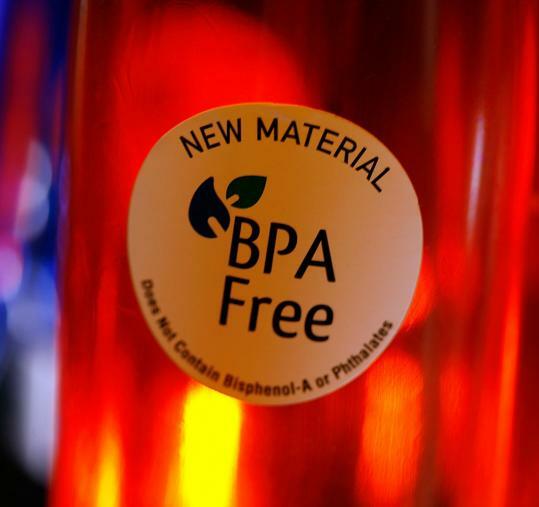 The link between genetic contamination and bioplastics is strong. As concerns mount, the Sustainable Biomaterials Collaborative (SBC) – a network of 16 civil society groups and ethical businesses – is working to define a truly sustainable bioplastic. One of its founders, Tom Lent, explains that the SBC started because ‘the promise of bioplastics was not being realized’. Enzymes are large protein molecules that act as catalysts – substances that start or accelerate chemical reactions without themselves being affected — and help complex reactions occur everywhere in life. By their mere presence, and without being consumed in the process, enzymes can speed up chemical processes – reactions occur about a million times faster than they would in the absence of an enzyme. In principle, these reactions could go on forever, but in practice most enzymes have a limited life. There are many factors that can regulate enzyme activity, including temperature, activators, pH levels, and inhibitors. Enzymes play a diversified role in many aspects of everyday life including aiding in digestion and the production of food as well as in industrial applications. Enzymes are nature’s catalysts. Humankind has used them for thousands of years to carry out important chemical reactions for making products such as cheese, beer, and wine. Bread and yogurt also owe their flavor and texture to a range of enzyme producing organisms that were domesticated many years ago. amylases which break down starch into simple sugars. Human saliva, for example, contains amylase, an enzyme that helps break down starchy foods into sugars. In textile treatment, the first enzyme applications, as early as 1857, was the use of barley for removal of starchy size from woven fabrics. The first microbial amylases were used in the 1950s for the same desizing process, which today is routinely used by the industry. Enzymes are now widely used to prepare the fabrics that your clothing, furniture and other household items are made of. Increasing demands to reduce pollution caused by the textile industry has fueled biotechnological advances that have replaced harsh chemicals with enzymes in many textile manufacturing processes. 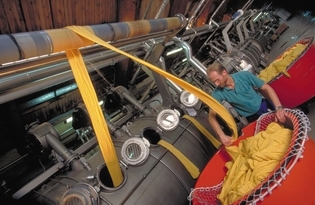 The use of enzymes not only make the process less toxic (by substituting enzymatic treatments for harmful chemical treatments) and eco-friendly, they reduce costs associated with the production process, and consumption of natural resources (water, electricity, fuels), while also improving the quality of the final textile product. Think of enzymes as similar to keys which can open locks. Just as when you need a key that is just the right shape to fit in a particular lock, enzymes complete very specific jobs and do nothing else. They are very specific locks and the compounds they work with are the special keys. In the same way there are door keys, car keys, and bike-lock keys, there are enzymes for neural cells, intestinal cells, and your saliva. Here’s the deal: there are four steps in the process of an enzyme working. An enzyme and a substrate are in the same area. The substrate is the biological molecule that the enzyme will attack. The enzyme grabs onto the substrate with a special area called the active site. The active site is a specially shaped area of the enzyme that fits around the substrate. The active site is the keyhole of the lock. A process called catalysis happens. Catalysis is when the substrate is changed. It could be broken down or combined with another molecule to make something new. Then the enzyme lets go. When the enzyme lets go, it returns to normal, ready to do another reaction. But the substrate is no longer the same – the substrate is now called the product. Next, well take a look at how enzymes are helping to make the textile industry’s environmental footprint a bit more benign.